Head and Neck imaging • Specialist in children’s head and neck imaging focusing on neck cysts, visual and orbital abnormalities and hearing loss. Author of over 70 publications, 5 text books, and several book chapters. I am an experienced Consultant Pediatric Neuroradiologist based at London's Great Ormond Street Hospital for Children. I also provide consultation at University College London Hospital, Chelsea and Westminster Hospital, Portland Hospital for Women and Children and The Harley Street Clinic. 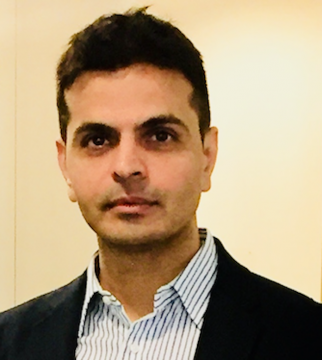 I have expertise in providing clinical opinion on all aspects of Fetal, Neonatal and Pediatric Neuroimaging, with specialist interest in brain and spine tumors and their follow-up, epilepsy, metabolic, developmental and genetic disorders as well as inflammatory and infective disorders in children. I have lectured extensively across the world, and I have over 70 research publications, 5 text books and several book chapters to my credit. I believe in personalized care to individuals who seek help, precise to their needs, and I am available for direct consults as well. very satisfied with clear and detailed explanation.